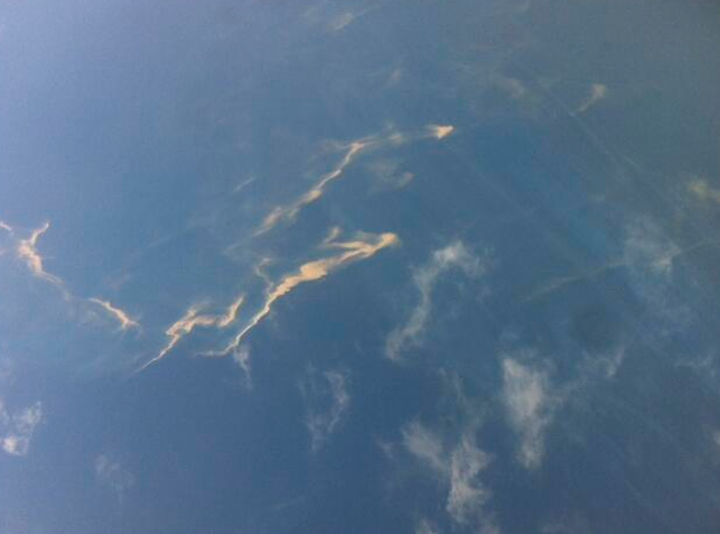 (News WATCH) - Vietnamese air force planes on Saturday spotted two large oil slicks in the area where a Malaysia Airlines Boeing 777 vanished earlier in the day, the first sign that the aircraft carrying 239 people -- including two Canadians -- on board had crashed. A Vietnamese government statement said the slicks were spotted late Saturday off the southern tip of Vietnam and were each between 10 kilometres and 15 kilometres long. There was no confirmation that the slicks were related to the missing plane, but the statement said they were consistent with the kinds that would be produced by the two fuel tanks of a crashed jetliner.